Musical royalty rolls into Bradford this February as Fellow of the Royal College of Music, Professor of the London College of Music, former Yes keyboard player, Watchdog presenter and renowned Grumpy Old Man, Rick Wakeman takes to the mic at St George’s Hall. 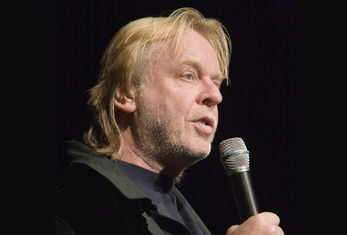 In his one-man solo show, Rick recounts hilarious and unlikely anecdotes from a career that has included musical collaborations with David Bowie, Cat Stevens and Elton John, as well as worldwide tours with YES and his own band The English Rock Ensemble, punctuated by displays of dazzling virtuosity on the piano. In August 2013, for the first time in his long and varied career, Rick performed at the Edinburgh Festival Fringe with a run of 12 solo shows which were a sell-out success, winning rave reviews and quickly becoming a ‘must-see’ event of the festival. As he takes the show on the road one more time, come along and find out why life is rarely dull for Rick or those around him!